Its January 2019 and we are now just twenty five months from the start of the 2021 America’s Cup in Auckland. Apart from the obvious construction of the America’s Cup syndicate base facilities currently under way at the Wynyard wharf area down-town Auckland, all has been pretty quiet since the announcement of the two new challenger teams in December, Netherlands and Stars & Stripes. But we won’t have to wait long before we are flooded with progress reports from all seven players. The six challengers presently accepted and ETNZ the defender. The ‘pub talk’ however, reveals leaks and rumours about problems encountered with the development of a component of the foiling mechanism for the new America’s Cup class yacht, and I’ll come back to this story as you read on. Behind the scenes all of the challengers and the defender Emirates Team New Zealand are keeping their powder dry about how the development of the new America’s Cup yachts are progressing in design and construction. There are design secrets to be found with such an off-the-wall concept and the saying goes, ‘loose lips sink ships’. "Imagine if we had turned up in San Francisco with a foiling catamaran and none of the other teams knew we had foils?” “Would that have made a difference?" What Rod was referring to, was the fact that the Kiwi cover was blown early in the trials of the foiling 72 footer out on the Hauraki Gulf in the lead up to the Cup. The American defender spy network were out following the Kiwi challenger and filming the revelation of a flying catamaran ‘legging it’ at high speed on foils. No-one else had considered this within the design parameters, and within months all had reconfigured their boats to foilers. In 2017 it was a different story though. Grant Dalton and his team had learned well. By the time the American defender Oracle, and the other challengers had learned of the unique ‘cyclor’ setup to power the hydraulics of the Kiwi challenger, it was too late for them to change from the grinders, but there was even more of a Kiwi surprise to come. The traditional spying and misinformation is no doubt still a factor in the game, and it is a game of ‘cat and mouse’ where they gather as much detail on the opponents design as possible well in advance. But as was revealed in the 2017 Cup the Kiwis had other cards up their sleeve. On board technology to control the wing sail and a mobile phone navigation system that was streets ahead of everyone including the defender. Sponsored by Oracle one of the largest high-tech companies in the world with the support of Boeing Aerospace they were way behind the eight ball. It’s all about getting an edge and it’s this aspect of the design of these new era yachts that will be the most difficult to detect by the spy’s. Nevertheless I’d be very surprised that the covert practices of spying are not still alive and well, which from our point of view makes the America’s Cup all the more fascinating. So it’s right now that the Cup competitors will have their ‘snoopers’ around searching for clues on delivery and launch dates and who’s using what technology to keep these ‘flyers’ on the foils at max speed. Now to the problem with the hydraulic mechanism to lift them in and out of the water (to be supplied by the defender) which has to be made and tested. ETNZ’s part in the development is to build the hydraulics for the FCS (foil cant system) and the Italian Challenger of Record Luna Rossa, to build and test the foil arms, while each team builds their own foils to be attached to the arms. The first foil arms made by Luna Rossa’s chosen builder Persico were to be tested to destruction but they failed at a lower rate than predicted and the rumour mills suggests further tests have had the same disastrous results. Therefore ETNZ have taken control of designing the arms, and I believe the Italian company Persico remains as the builder. But, and a big BUT, some people are speculating because of this delay this is causing, that they will not able to produce enough sets of hydraulic controllers and foil arms for all of the six teams to be ready to race in the first of the America’s Cup World Series in October this year. Bring on the Kiwi ingenuity. They’ll do it! So let’s move along the info trail of following what’s happening elsewhere. Two of the challengers, as we all now know, have built prototypes of the new concept to study performance, boat handling, and design options, an option ETNZ has not chosen. As they did with the 2017 winner ETNZ is using computer simulation to test their defender. 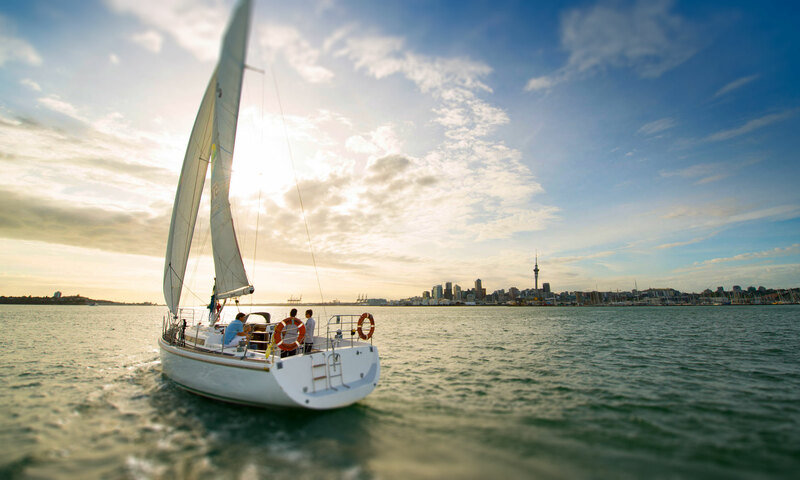 Who will be first to do so is yet to be seen, but keep your eyes peeled to the waters of the Hauraki Gulf, you can bet the six challengers will be. The Kiwi defender is likely to be out there in the not too distant future and if I hear a word, rumour or pub talk ,be it true of false, you will get it from me first.